Every season in the Napa Valley offers a unique experience for visitors. Guests visiting during Cabernet Season (November through April) enjoy cooler weather and a slower pace. In late winter and early spring, visitors witness the bright mustard blossoms which signal the coming bud break among sleeping vines, and in the fall Harvest season brings the scent of crushed and fermenting grapes throughout the entire valley. Below is a highlight of events to help plan the ideal time to visit the Napa Valley. Because event details change each year, we encourage visitors to explore the event website listed for additional information. Napa Valley Resolution Run: Start the year right with this annual New Year’s Day 5k or 10k run in Yountville. The Napa Valley Resolution Run begins at the Community Center and meanders through the town of Yountville along a portion of the Vine Trail, finally looping through the historic California Veterans Home in the western hills of the valley. Open to all ages and running abilities, proceeds from the Napa Valley Resolution Run benefit the Napa Valley Vine Trail. Napa Valley Truffle Festival: This annual four-day festival brings together some of the best chefs in the world who create dishes paired with the prized fungus, as well as truffle experts recognized for their expertise on truffle cultivation. Gourmands and aspiring truffle growers alike will find a bounty of activities throughout the festival weekend to satisfy their appetite and curiosity for the flavor and knowledge of one of the world’s most prized delicacies. For more information, visit Napa Truffle Festival. Restaurant Roulette: The City of St. Helena celebrates its culinary treasures with the annual Restaurant Roulette, where guests reserve a spot to dine at a St. Helena restaurant and enjoy wines from Appellation St. Helena. Guests gather in downtown St. Helena to learn where they will dine and discover a new favorite restaurant with friends old and new. Napa Culinary Crawl: The Culinary Crawl, offered every other month beginning in February, is a walking food and wine tour featuring Downtown Napa&apos;s best culinary destinations. “Walk. Taste. Sip!” is the perfect way to experience Downtown Napa&apos;s wine tasting rooms and restaurants, each within walking distance from one another. Each stop on the crawl includes specially prepared bites paired with exclusive drink specials. The walking food tour also includes contests and prizes, making it a memorable culinary experience for anyone who enjoys food, wine and fun. Napa Valley Marathon: For more than 35 years, the annual Napa Valley Marathon has enticed participants from all over the world, including world-class runners to weekend enthusiasts to beginners, with a stunning course starting from Calistoga in the north to the city of Napa. Runners wind their way along the famous Silverado Trail (downhill most of the way) passing the budding vineyards of some of the most iconic wineries in the Napa Valley. 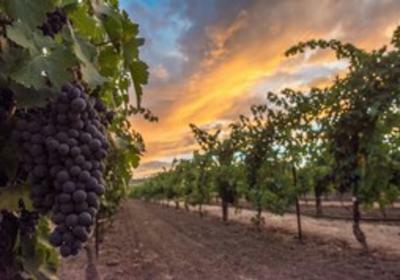 CabFestNV: This multi-day celebration of the king of Napa Valley varietals, Cabernet Sauvignon, benefits the arts and education initiatives at the Napa Valley Performing Arts Center at Lincoln Theater in Yountville. CabFestNV, is the first Napa Valley festival devoted exclusively to Cabernet, and features more than 100 of the biggest names in the wine industry as well as the best of the boutiques, offering current and library tastings, informative panels, educational seminars, keynote presentations, as well as food and entertainment. Napa Valley Arts in April: Celebrate the elemental connection between the arts, wine and food, during Napa Valley Arts in April. This month-long cultural immersion into the Napa Valley offers dozens of art-inspired events including winery art installations, pop-up exhibitions, performances, tours, discussions, and exclusive tastings in America&apos;s premier wine region. Each Napa Valley hamlet is highlighted throughout the month to showcase its unique artistic contributions to the cultural landscape of the valley. Arts in April launches with the opening party, “Kick off Arts in April,” and concludes with the two-day Engage Art Fair. Extend a stay during April with customized Napa Valley lodging offers or special activities at www.VisitNapaValley.com. TEDxNapaValley: Converse, meet neighbors, be entertained, educated, enthralled, moved, challenged, and most of all inspired at the two-day TEDxNapaValley at the Lincoln Theater in Yountville. Each year, TEDxNapa Valley brings inspiring and innovative ideas to the Napa Valley. Wine Valley Cycle for Sight: The annual Wine Valley Cycle for Sight offers three scenic 15, 25 and 50-mile courses that wind among the hills and vineyards of the Napa Valley. The course finishes with the Cycle for Sight Wine and Music Festival featuring live music, wine tasting from Napa Valley wineries, beer tasting from local microbreweries and local cuisine from Napa Valley restaurants. Proceeds benefit The Enchanted Hills Camp For The Blind & Visually Impaired and Pathway Home Project at the California Veterans Home. Bottega Gran Fondo: The worlds of food, wine and cycling converge for a weekend in the Napa Valley at Chef Michael Chiarello’s Bottega Gran Fondo. Six celebrity chefs, six celebrity sommeliers, six pro cyclists and six special guests are ride leaders during this one of a kind Napa Valley adventure. The Bottega Gran Fondo supports three important initiatives in the Napa Valley that impact locals and visitors alike: Napa Bike (advocacy, education, and improved road safety for cyclists), the Vine Trail (a 47-mile Class 1 paved bike trail which has numerous health and wellness benefits) and Clinic Ole (low cost medical services). BottleRock Napa Valley: Wine, food and…Rock & Roll? The annual three-day BottleRock Napa Valley has quickly emerged as one of the top music festivals in the country, offering the world’s top musical artists on four different stages, while master sommeliers and celebrity chefs rub shoulders with guests in an intimate festival setting. Dozens of the region’s finest restaurateurs, vintners and brewers offer the best in food, wine, and craft brews to complement the music and create an authentic wine country experience for festival guests. Auction Napa Valley: One of the most well known charity wine auctions in the world, Auction Napa Valley is the Napa Valley Vintner’s (NVV) annual community fundraiser that has utilized the worldwide reputation of Napa Valley wines and the scenic beauty of the region to raise funds to enhance the health and wellbeing of the Napa Valley community. To date, the NVV has invested more than $145 million from Auction Napa Valley proceeds into Napa County nonprofit organizations. Napa City Nights: Napa City Nights summer concert series brings free family entertainment to downtown Napa each Friday evening from June through August in the beautifully renovated Veterans Memorial Park amphitheater. Musical genres include jazz, rock, country, blues, pop and folk, with special guest artists, local celebrities and fun for locals and visitors alike. Music in the Park: Every other Thursday, June through August, the city of St. Helena presents Music in the Park, a series of free concerts in Lyman Park on Main Street in downtown St. Helena. This popular community event captures the charm that is St. Helena. Bring a picnic basket and blanket and enjoy family friendly music in an old town setting. Napa Valley Jazz Getaway: Renowned jazz artist Brian Culbertson’s annual Napa Valley Jazz Getaway is a five-day luxury wine and jazz festival featuring an all-star cast of jazz and R&B greats. Attendees enjoy concerts at a variety of Napa Valley locations, dinners, wine tasting events featuring many of Napa&apos;s most iconic wines, and late night after parties. Robert Mondavi Summer Concert Series: The annual Robert Mondavi Summer Concert Series has evolved into a wine, food and music event that is a highlight of the summer season in the Napa Valley. Robert Mondavi Winery has played host to more than 100 performers and draws more enthusiastic crowds each summer, showcasing world-renowned and award-winning R&B, jazz and pop artists alike. Throughout the festival’s 46-year history, more than $2 million in proceeds has been raised to assist a number of Napa Valley-based organizations. Concerts in the Park: The City of Calistoga and Calistoga Beverage Company present Concerts in the Park, free concerts every Thursday night July through August. Bring blankets, chairs and a picnic dinner to enjoy this summer celebration. Adult beverages are allowed (for those 21 and over) and wine is available for purchase. Napa Town & Country Fair: The Napa Town & Country Fair offers five days of all the fun and thrills of a hometown fair, including exhibits ranging from fine arts and crafts, home baked goods, and livestock, to thrilling carnival rides and, of course, classic fair food and drink served up by traveling purveyors and local chefs alike. Each day of the fair also includes complimentary entertainment, including nationally known musical acts, jugglers and street performers, comedy and more. Festival del Sole: A celebration of the art of life, Festival del Sole has helped establish the Napa Valley as one of the world’s leading cultural destinations. This 10-day summer festival blends exceptional music, theater and dance with the region’s fine wine and cuisine. Festival del Sole presents exclusive engagements by renowned artists and emerging talent from around the globe, gastronomic adventures at stunning wineries, resorts and estates, free community concerts, yoga in the vineyards and a 5K and 10K run benefiting Napa County youth arts education. Heritage Fire by Cochon 555: Experience the Valley’s premier hyper-local, whole animal live-fire outdoor food and wine event, which showcases more than 40 wineries and 35 notable chefs and butchers who cook more than 3,000 pounds of heritage breed animals in celebration of breed diversity and family farming. A portion of the ticket proceeds from Heritage Fire by Cochon 555 benefit the St. Helena Farmers Market and The American Institute of Wine & Food. A group of celebrated butchers host a Pop-Up Butcher Shop where 100 percent of the proceeds benefit the students of the Culinary Institute of America at Greystone in St. Helena. Main Street Reunion and Blues, Brews & BBQ: The City of Napa celebrates with two street fairs each August, Main Street Reunion and Blues, Brews & BBQ. Main Street Reunion is one of the most popular events in downtown Napa, featuring 400 pre-1976 cars and trucks, from muscle cars to Model A’s. Centered at First and Main streets, this free show covers twelve blocks. Plan on spending the entire day in order to see all the cars. Food, beverages and favorite “car music” set the tone for the day. Blues, Brews & BBQ features live Blues music from some of Bay Area&apos;s best blues musicians, more than 20 hard to find micro-brewed beers in a large beer garden, food from BBQ masters, plus the famous annual rib-eating contest featuring local Napa Valley celebrities. Harvest Table: What better way to celebrate the bounty of harvest than at the table? Calistoga’s Harvest Table features a 1000-foot long table down the center of Lincoln Avenue where guests dine under the harvest moon. Twenty of the valley’s mort popular restaurants are paired with more than 40 Napa Valley wines and craft brews. Attendees choose their preferred cuisine from a selection of diverse restaurant menus. Meet Calistoga winemakers as they join guests at the table and share what is happening in the vineyard for the season’s crush, the ultimate time to experience the most exciting process of crafting Napa Valley&apos;s world acclaimed fine wines. Frys.com Open: Silverado Resort and Spa hosts The Frys.com, the lead tournament on the PGA TOUR’S FedExCup schedule. Launched in 2006, the Frys.com Open is an official PGA TOUR tournament benefiting many local and national charities that are working to improve the lives of others. Hometown Harvest Festival: St. Helena’s annual Hometown Harvest Festival is the perfect way to celebrate the end of the harvest season in Napa Valley and experience the beginning of the beautiful fall foliage. The festival starts with the legendary Pet Parade through downtown St Helena and features live music, food and craft booths, wine pouring stations, a kids carnival, a 5k run and a kids run. Angwin to Anguish: Participants may select the right amount of anguish in this annual 4k, 12k or 24k run. Pacific Union College’s Angwin to Angwish offers a scenic run through groves of pines and oaks, past mossy rocks, and up the rugged terrain of “Angwish Hill” at in the heart of the Napa Valley, just 10 minutes from St. Helena on Howell Mountain. Napa Valley Film Festival: The ultimate celebration of film, food and wine, the Napa Valley Film Festival (NVFF) lights up the picturesque towns of Napa, Yountville, St. Helena and Calistoga at the most colorful time of year. NVFF features more than 125 new independent films and studio sneak previews screened in 12 beautiful venues throughout the four walkable villages, as 250 visiting filmmakers and celebrities interact with audiences during the five day festival. Attendees enjoy film panels and culinary demonstrations, wine tasting pavilions, the spectacular Festival Gala, Celebrity Tributes, Awards Ceremony, and an array of parties, VIP receptions and winemaker dinners. Napa Valley Turkey Trot: “Rock & Trot” to feed 100 families during the holidays at the annual Napa Valley Turkey Trot family fun run at the Napa Valley College. This 5k course is a flat, scenic route through the Napa Valley College campus and Napa River Trail, culminating with music, a Family Fun Kid Zone, and Turkey Photo Booth. Every participant receives a custom finishers medal and t-shirt. Napa’s Christmas Tree Lighting: The City of Napa celebrates the holiday season with its annual Lighting of the Christmas Tree in Veterans Park on Main Street in downtown Napa. Enjoy a cup of hot chocolate and cookies donated by local merchants and entertainment from local youth groups and watch as the Mayor lights the Christmas tree for all to see. Yountville’s Festival of Lights: On the Friday following Thanksgiving, the town of Yountville transforms into a magical winter wonderland with thousands of tiny (energy efficient) twinkling lights. For nearly 30 years, Yountville’s Festival of Lights encourages friends, families, neighbors and visitors to play hooky from the shopping mall and gather in the heart of one of the world’s most popular destinations for a feel-good family event to kick off the holiday season. Yountville’s Festival of Lights is free, with tasting bracelets available for purchase. Calistoga’s Lighted Tractor Parade: The annual Lighted Tractor Parade is the ultimate small-town holiday celebration. To celebrate the start of the holiday season and Calistoga’s agricultural heritage, vintage and modern tractors, antique trucks, and construction equipment are bedecked with dazzling lights which parade down Calistoga’s charming Main Street. Santa himself makes a special appearance during the parade, rain or (moon) shine. This popular Napa Valley event is fun for the entire family. Reindeer Run: American Canyon’s annual Reindeer Run is a 5k, 10k run/walk through the beautiful Thompson Trail in the wetlands area of south Napa Valley on a paved, flat course. The 5K is a loop course winding around an island, while the 10K is an out-and-back course with a loop section, giving participants a lovely view of American Canyon’s wetlands. Winter in the Wineries Passport: Calistoga’s annual Winter in the Wineries Passport offers a relaxed way to tour, taste wine and meet winemakers at more than a dozen heralded wineries, both large and small, in and around this charming town at the top of the Napa Valley. Passport holders have access to a select variety of Calistoga wineries during December and January, as well as receive discounts at several of Calistoga’s finest restaurants, lodging properties and downtown shops. Napa Valley boasts five entertainment venues, ranging from a community theater to an intimate 100 seat club to a 1200 seat, state-of-the-art theater, each offering year-round opportunities to experience talented musicians, comedians, dance companies, theatre troupes and more. The Uptown Theatre and City Winery, both in downtown Napa, and The Lincoln Theater in Yountville each feature national and regional touring acts, as well as local community performances. Silo’s in downtown Napa is a small, intimate listening room, featuring jazz, pop and dance bands, comedy and more, and the Lucky Penny Community Arts Center is the Valley’s community theater space offering local and regional theatrical performances.